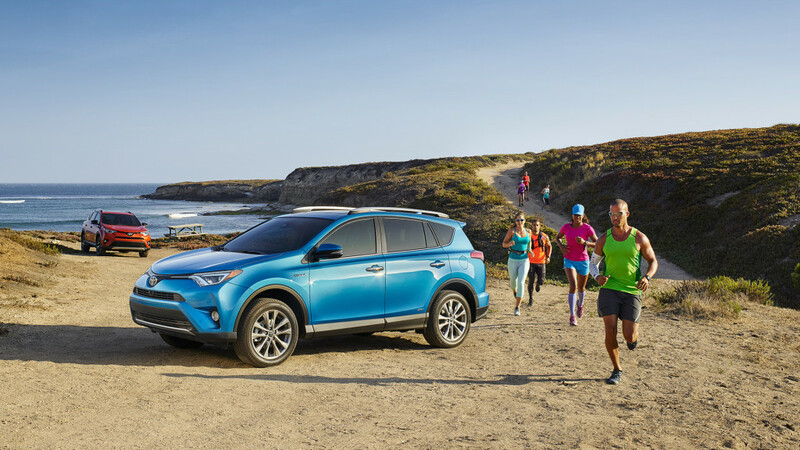 The 2017 Toyota RAV4 picks up the reins of one of Santa Monica and Culver City’s most popular small SUV lines, combining versatile performance with high-end technologies to create an impeccable driving experience. For 2017, you’ll be able to look forward to receiving more standard features while enjoying the opportunity to select a whole new trim level. Along with a spacious interior and a confident powertrain, it all comes together to create a thoroughly excellent vehicle. 1 at this offer, VIN # 505298. New 2019 RAV4 LE, 4 cylinders, automatic, model #4430. Lease for $369 per month plus tax. On approved premier credit, 36 monthly payments. Must Finance through TFS lease. Adjusted / Net Capitalized Cost $26,306. Amount due at signing $2,999 Amount of first month’s payment $369 plus tax. Amount of lease subvention cash $0. No security deposit required, 12,000 miles per year, $0.15 per excess mile. Sale price does not apply to lease. All advertised prices exclude government fees and taxes, any finance charges, $80 dealer document processing charge, any electronic filing charge, and any emission testing charge. Expires 04/30/2019. The 2017 Toyota RAV4 is set to become an even more dominant small SUV for 2017 thanks to the inclusion of the standard Toyota Safety Sense package, which includes advanced driver assistance technologies such as Dynamic Radar Cruise Control and Automatic High Beams. 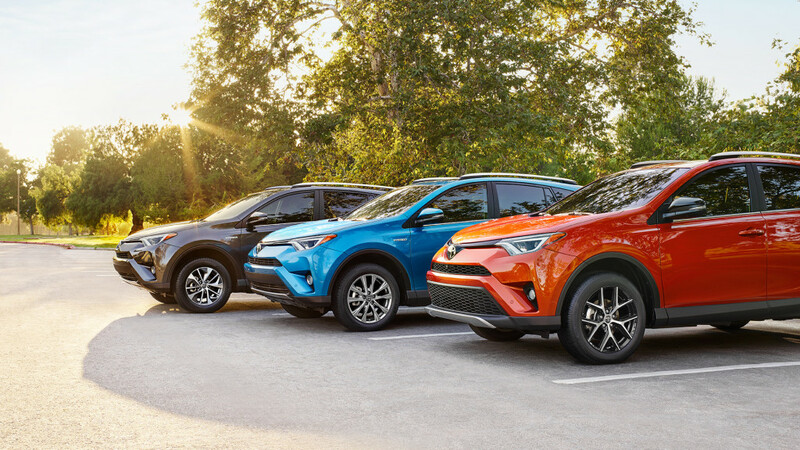 In addition to bringing top-tier features to the entry-level model, Toyota have also expanded on the RAV4’s trim levels by adding a new top of the line Platinum option. The 2017 Toyota RAV4 allows Santa Monica and Culver City to choose between the following available trim levels. LE: Starting at $24,910 MSRP*, the LE delivers an astonishing array of standard features, including a 6.1-inch touchscreen, a rearview camera, and a wide range of driver assistance technologies. XLE: Starting at $26,830 MSRP*, the XLE brings a number of comfort upgrades, including a leather-wrapped steering wheel, dual-zone automatic climate control system, and sunroof. 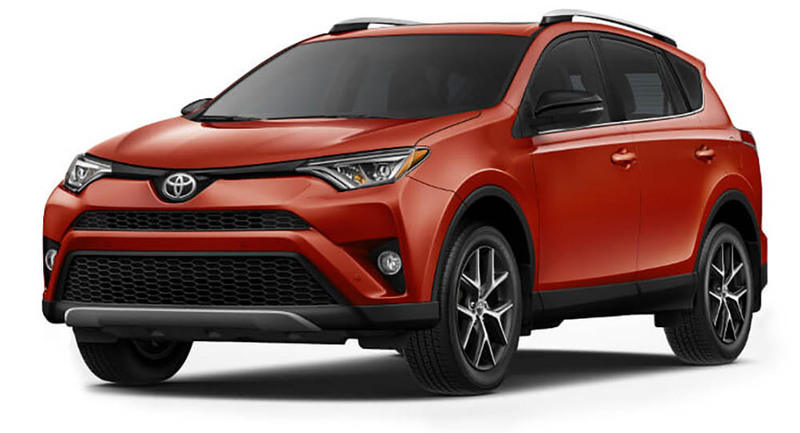 Limited: Starting at $31,830 MSRP*, the Limited makes a number of enhancements to your RAV4, including keyless entry and ignition, a blind-spot monitor with cross-traffic alert, heated front seats, and satellite navigation. Platinum: Starting at $34,750 MSRP*, the range-topping Platinum provides top-tier tech, including a hands-free liftgate, Bird’s Eye View Camera, and 11-speaker JBL premium sound system. 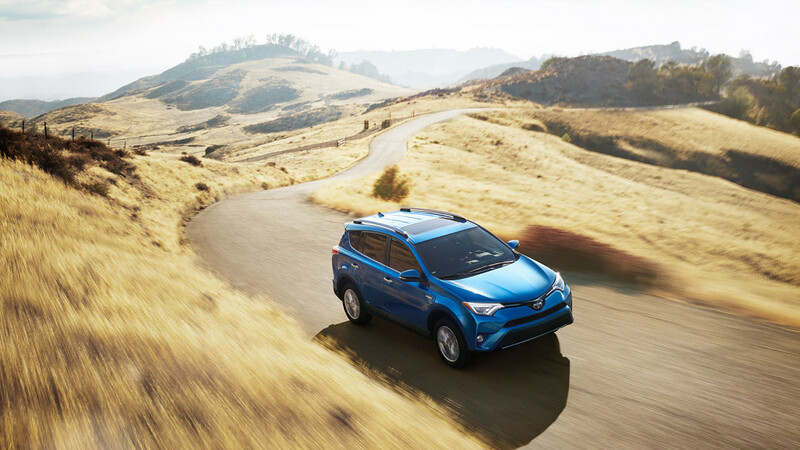 The 2017 Toyota RAV4 is a born performer that can be handled just as well in the city as in the backcountry. At the core of each model sits a potent 2.5L four-cylinder DOHC engine, which is able to put drivers in command of up to 176-hp and 172 lb.-ft. of torque. That allows for zero to 60 mph in just 9.2 seconds, a more than respectable time for a smaller SUV. For 2017, the RAV4’s suspension has been enhanced to ensure a smoother ride across the highway, and Dual Variable Valve Timing with intelligence (VVT-i) technology is fitted to boost both performance and fuel economy. Each engine will be mated to a six-speed automatic transmission system, which makes up to 23 mpg in the city and 29 mpg on the highway, or up to 22 mpg city and 28 mpg highway with all-wheel drive**. 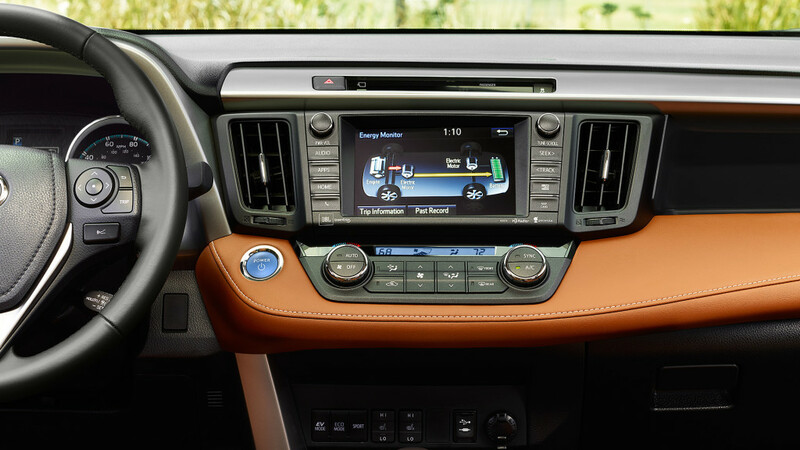 With available features such as heated seats and dual-zone climate control, the 2017 Toyota RAV4 is a truly comfortable place to be. It also boasts cutting-edge sound-insulation materials to ensure that the cabin remains whisper-quiet at all speeds. You’ll also find a folding 60/40 split rear seat to help you reconfigure your cargo area from a generous 38.4 cubic feet behind the rear seats right up to 73.4 cubic feet behind the front seats. 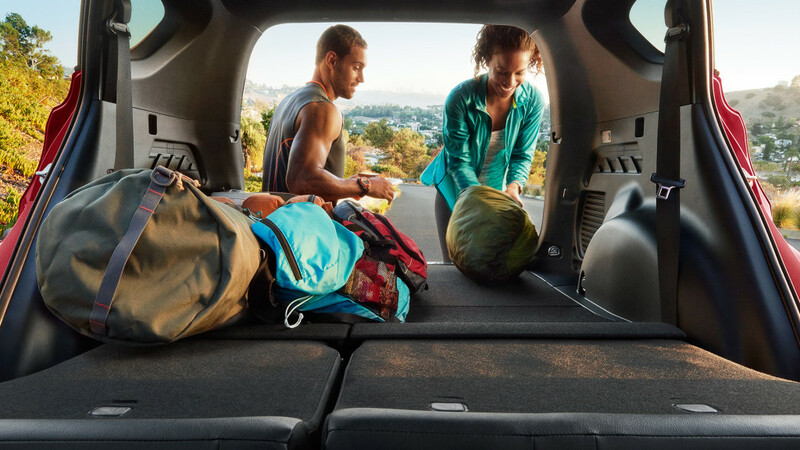 That puts the RAV4 close to the front of its segment when it comes to interior space, and the vehicle’s low lift-over height and available hands-free power liftgate make loading the cargo area easier than ever. 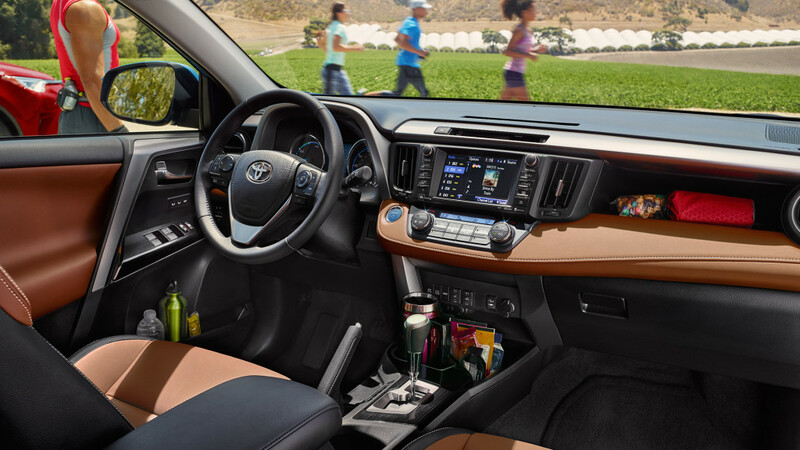 The RAV4 is packed with top of the line features and amenities to make each and every drive that little bit easier. Bird’s Eye View Camera: Several cameras positioned around the RAVR combine to create a 360-degree view of the area around you, with a Perimeter Scan feature allowing for rotating imagery. Entune Mobile Apps: Use a wide variety of popular apps right from your RAV4, including OpenTable, MovieTickets.com, and Yelp. Siri Eyes Free: Pair the voice recognition technology of your iPhone to the RAV4, then use voice commands to send messages and emails, stream music, request directions, or hear the latest news, all without taking your eyes from the road. The 2017 Toyota RAV4 packages top crash-test scores with state of the art safety technology as standard to provide Santa Monica and Culver City drivers with faultless peace of mind during every drive. The 2017 Toyota RAV4 was one of our most highly-anticipated models, and we’re glad to see that it has more than lived up to expectations. To arrange a test drive or find out more, just contact one of the team here at Marina del Rey Toyota. * MSRP excludes the Delivery, Processing and Handling Fee of $865 for Cars, $940 for Small/Medium Trucks (Sienna, RAV4 Gas, RAV4 Hybrid, Highlander Gas, Highlander Hybrid, 4Runner and Tacoma), $1,095 for Large SUVs (Sequoia, Land Cruiser), and $1,195 for Large Truck (Tundra). (Historically, vehicle manufacturers and distributors have charged a separate fee for processing, handling and delivering vehicles to dealerships. Toyota’s charge for these services is called the “Deliver, Processing and Handling Fee” and is based on the value of processing, handling and delivery services Toyota provides as well as Toyota’s overall pricing structure. Toyota may make a profit on the Delivery, Processing and Handling Fee.) Excludes taxes, license, title and available or regionally required equipment. Actual dealer price will vary.